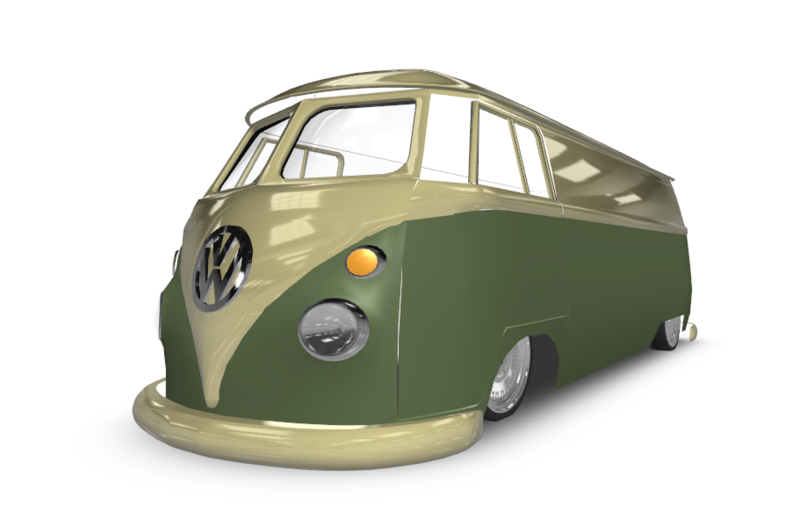 VirtualWagen 3D Custom VW Creator.. Still very much a work in progress, but I though I’d post it up and let you have a play. Aside from a couple of little quirks (The tooltip menu can disappear off the bottom of the screen, it’s on my to do list), its pretty much there, everything runs from xml so I can add new wheels, models etc. This will be gradually updated as I get time. Enjoy! Graphic for QVC – Quatre – Vingt – Cinq, in distinctive 80s style. This has been printed out at A1 on Duratrans style media, ready to go into a lightbox and be displayed at club nights/festivals etc. I’m keen to see how it looks in action, which will be at the next event at the start of October. Pics to follow. 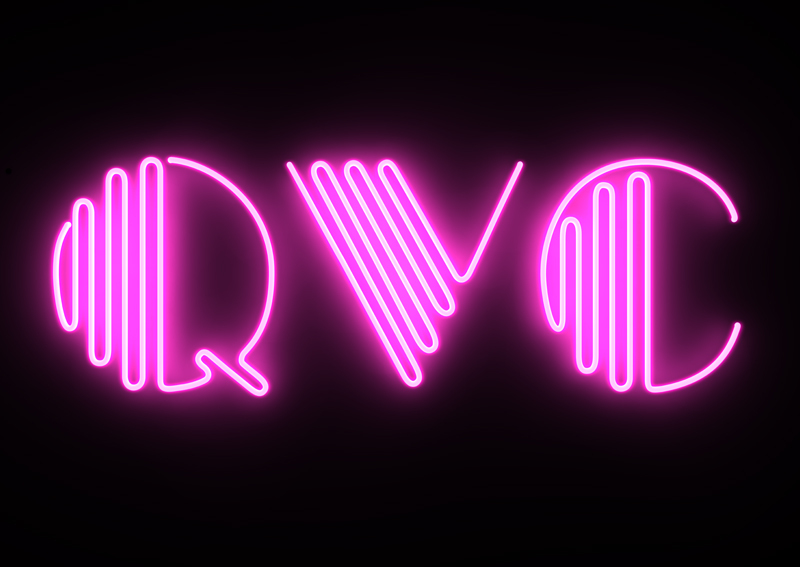 The image is made in Blender, fairly straightforward modelling really: Curve of the neon tubes traced over the QVC logo, and a mesh circle used for the cross section. Neon glow effect is a combination of indirect lighting, and use of nodes. This logo will be making more appearances in future, in various animated visuals to be projected or otherwise displayed at future events. Quite a common question I see being asked is how to have a cube with a different material on each face. Currently, you can set ’tile6′ to ‘true’ which will map a texture to the UV so that it is split onto each face correctly, but it can be a bit fiddly, and also does not allow for different material types on each face, or to set different eventListeners on each face.